Today, Dutch hoofdklasse teammates Dwayne Kemp and Loek van Mil faced each other in the matchup between the Brisbane Bandits and the Sydney BlueSox. Even though Kemp bested his teammate Van Mil, the Blue Sox ended up at the wrong side of the score after ten innings: 5-6. Just like last week, the Blue Sox won one game, avoiding being swept by their opponent. Except for the sweep against Geelong-Korea, the Blue Sox haven’t found their groove yet. 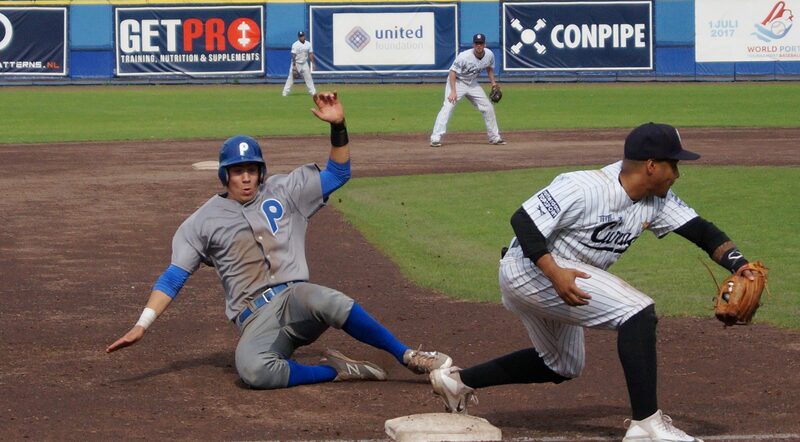 The team won the opening game of the series vs the Bandits but lost the next three, including today’s game. Thanks to two straight series losses, the Blue Sox have dropped into second place, trailing the Brisbane Bandits by 1.5 games with a 6-6 record. For the biggest part, the Blue Sox trailed to Bandits by a run but in the top of the ninth, the Blue Sox turned the tables. Loek van Mil was directed to the mound to close the door but things were going different as expected. 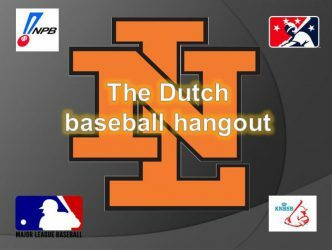 Facing the second batter of the inning, his Dutch teammate at Curaçao Neptunus, Dwayne Kemp, Van Mil served up a pitch that ended at the other side of the outfield wall, tying the game at four. 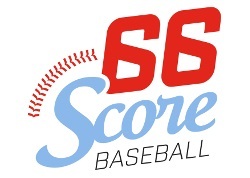 After striking out the next batter, Van Mil gave up another home run to Major League player Gift Ngoepe from South Africa and handed the lead to the Blue Sox. In the bottom of the ninth, Todd van Steensel was supposed to clinch the save for Sydney but he surrendered a run that tied the game at five. So with the game tied, extra innings were needed and after the Blue Sox did not manage to score a run thanks to the tie-breaker situation, runners placed on first and second, partially thanks to another (former) Dutch hoofdklasse player, pitcher Justin Erasmus, Todd van Steensel gave up an unearned run in the bottom of the tenth (thanks to the tie-breaker rule) when Andrew Campbell doubled home Mitchell Ellis. Dwayne Kemp went 3 for 5, raising his BA to .288. The other Dutch hoofdklasse player, Sam Kennelly, did not fare that well this week. In today’s 13-1 win over the Adelaide Bite, the Perth Heat kept him on the bench. In the 17-5 clubbing of the Bite, Sam went 0 for 3, in Friday’s 3-2 loss, Sam went 0 for 2 and in Thursday’s game, a 3-0 loss, Sam went 2 for 3. Surprisingly, the debuting Auckland Tuatara managed to end the four game series vs the Canberra Cavalry with a tie. Especially today’s game was won in grand fashion as the Tuatara scored nine times and the Cavalry only once. The other debuting team, Geelong-Korea, managed to win the first game of the series vs the Melbourne Aces but lost the next three, some by big numbers.